“I’ve never been one and I’ll never be one in the little time that I still have left to live,” he said, the dpa news agency reported. As an ethnic German from Romania, Rehbogen said he had ended up in the German military but had not volunteered to serve in the SS. Rehbogen was 18 at the time, and is being tried in a youth court because of his age during the years of his alleged offenses. He faces a maximum 10 years in prison if convicted. He told the court he was ashamed of his actions, occasionally wiping tears from his eyes as the statement was read, but that he had feared he would be branded an enemy of the Nazi state and persecuted if he protested. “I cannot say with certainty, with today’s perspective, whether I would have had the courage to act differently,” he said. 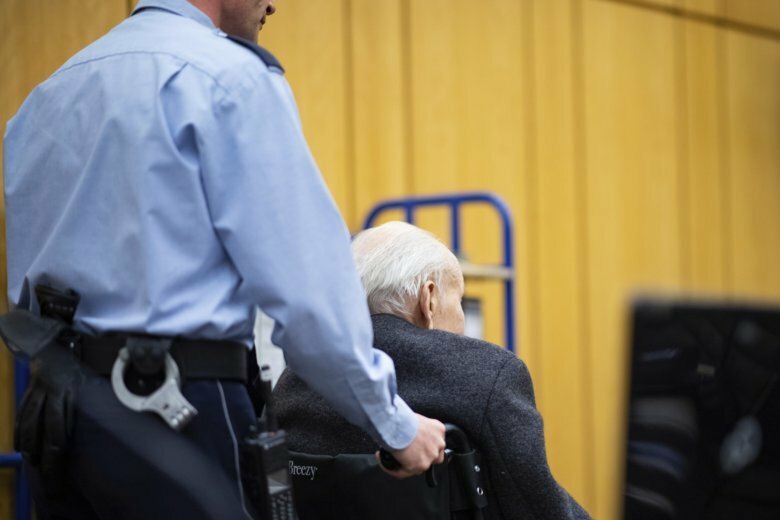 Though there is no evidence linking the former SS Sturmmann — roughly equivalent to the U.S. Army rank of specialist — to a specific crime, the prosecution argues that, as a guard, he was an accessory to the killings at Stutthof while he was there. In all, more than 60,000 people were killed in the camp. As the trial opened last week, prosecutor Andreas Brendel detailed how prisoners were killed by being given lethal injections of gasoline or phenol directly to their hearts, shot or starved. Others were forced outside in winter without clothes until they died of exposure, or put to death in a gas chamber. Rehbogen said he was unaware of a gas chamber in the camp but suggested he did at least know prisoners were being mistreated. He didn’t apologize to the victims of the camp, but said he didn’t expect their sympathy for his own plight. “If I present things here today that for me at the time were unpleasant or difficult to bear, I know that in comparison to the unspeakable suffering of the camp inmates it was minimal,” he said.